Am I dreaming? Is it really the end of term 3? That’s really scary. 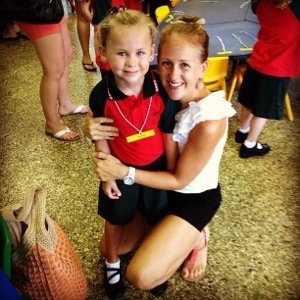 This means in about 3 months time my little preppie won’t be a preppie but a big grade one girl!! How can that be. It only feels like yesterday I was nervously walking her into prep for the first time. 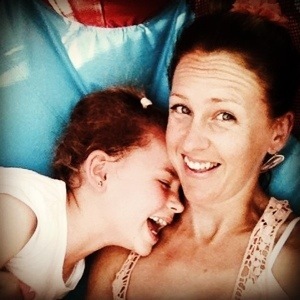 It only feels like yesterday that she was screaming while clung to my leg not wanting me to leave her behind;( It only feels like yesterday she was suffering from separation anxiety…..how things have changed! 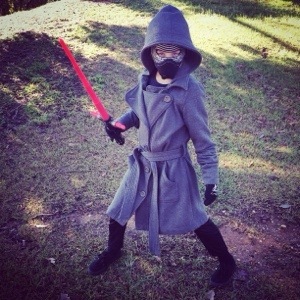 If you’re a regular follower of my blog, you would have read all about the troubles we encountered with Sienna at the beginning of the year when she started prep. To sum it up – it was two weeks of hell!! Two weeks of tears and fears. Two weeks of my heart being ripped out of my chest every time we said goodbye. Two weeks of me experiencing one of my parenting fears, but thankfully it only lasted two weeks. After two weeks the tears stopped, the pains in the belly before school became less and less and my beautiful girl started to smile and relax into the place that she calls school! 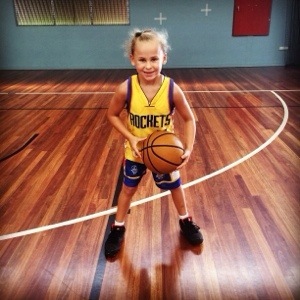 It took the whole of the first term to really settle into the routine of school and the expectations of learning, so by the time term 2 came around she was completely in ‘drive’! Today as I write this piece, my little (well not so little but very tall) preppie is far from the girl she was 8 months ago. She now beams with confidence. She now walks with her shoulders back and her head up high. She now participates in anything that is offered to her. She is now independent and is starting to take risks. 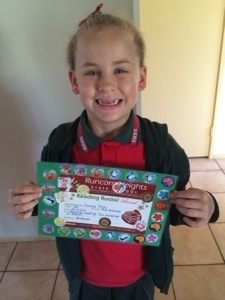 She now can confidently read, write, count and make connections and apply what she is learning to the real world. She is the girl that we’ve always seen at home at school. 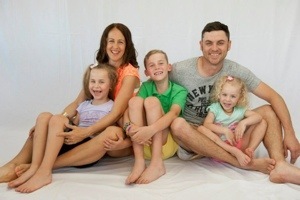 As a parent all you want for your children is to feel happy, safe and have the confidence to ‘have a go’! Now that this has been achieved, I’m so happy and content. It’s been a long road ‘in progress’, but the foundations that have been built so far, is an amazing starting point for my daughter’s education. 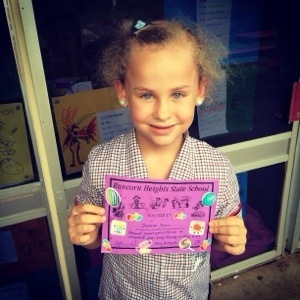 This week Sienna received her first student of the week. All year she has watched and celebrated her peers getting an award on parade and never once has she been upset or disheartened by not receiving it yet. I work on parade day and each week I would feel sad that I wouldn’t be there to see her standing up on stage holding her award, but luck was on my side!! Parade for the first time ever, was changed to a Wednesday. 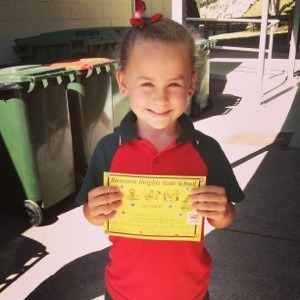 When I dropped Sienna off at school it was like music to my ears when her teacher told me she was getting student of the week! I quickly made a call to my mum who met me up at the school and together we sat there with such great delight and watched a very proud and excited prep girl, who walked confidently across the stage holding her award! I was so proud it brought a tear to my eye. 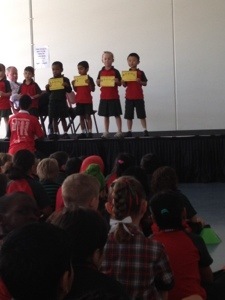 Her award was for working really hard on learning her sight words and reading!!! She so deserved it and was well worth the wait for everyone!!! I titled this blog ‘Connie Confidence’ as Runcorn Heights do a program called ‘You Can Do It’. It’s a program that promotes engagement and achievement, positive behaviour and well-being while supporting the students social and emotional capabilities. 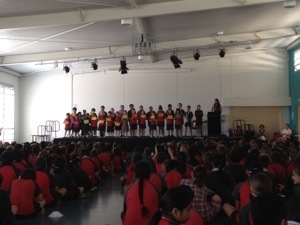 When students are seen showing confidence, resilience, persistence organisational skills and getting along with their peers, which are the four key areas, they receive a ticket which goes into a barrel and names are drawn out on parade for a reward. It’s a great program that is heavily immersed into each classroom and has thoroughly assisted my daughter with the issues she faced at the beginning of the year! 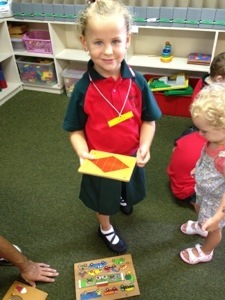 It’s so wonderful to see Sienna happy in her own skin at school now. It’s going to be a sad day when she has to say goodbye to prep and leave behind her safe haven and her amazing prep teacher and aide. But my Connie Confidence daughter has fought her toughest battle and from here on she is only going to become better and better as her schooling journey continues. I’m looking forward to seeing what direction her path takes – it’s such a great experience to be apart of!